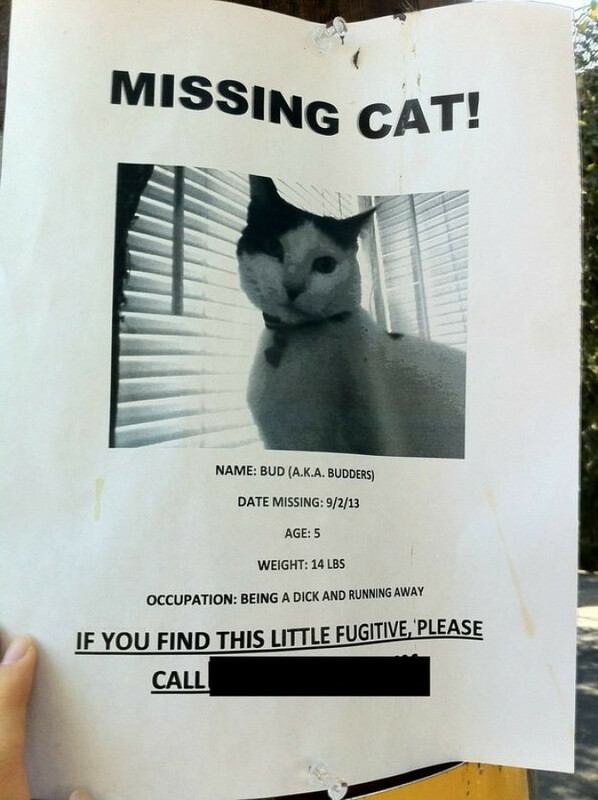 For most people, a missing cat isn't something you would think to laugh at. 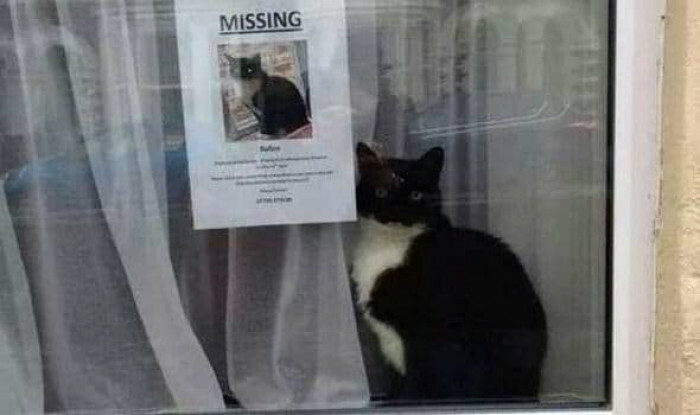 But if anything has been established over the years (with much thanks to the Internet) it's that you need a seriously solid sense of humor to be a cat owner. 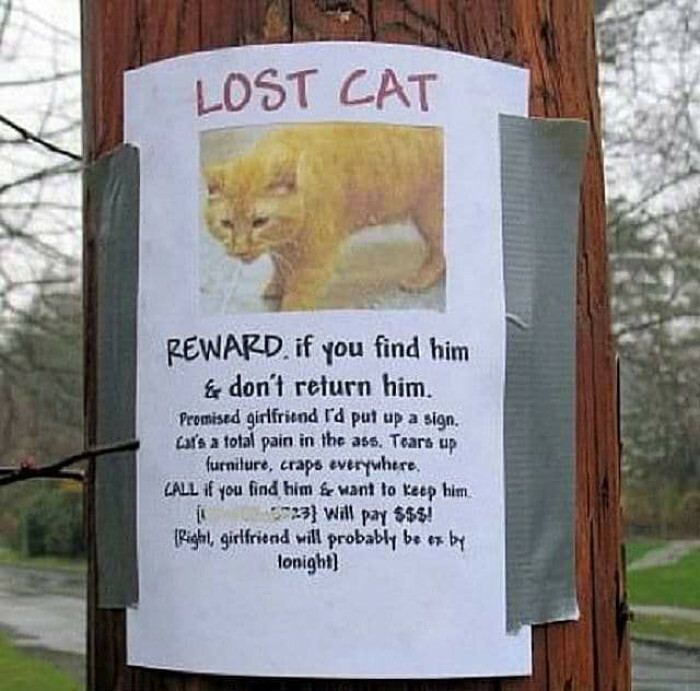 Therefore, it should come as no real surprise that when a human loses their beloved feline that their missing and/or found posters are absolutely hysterical. 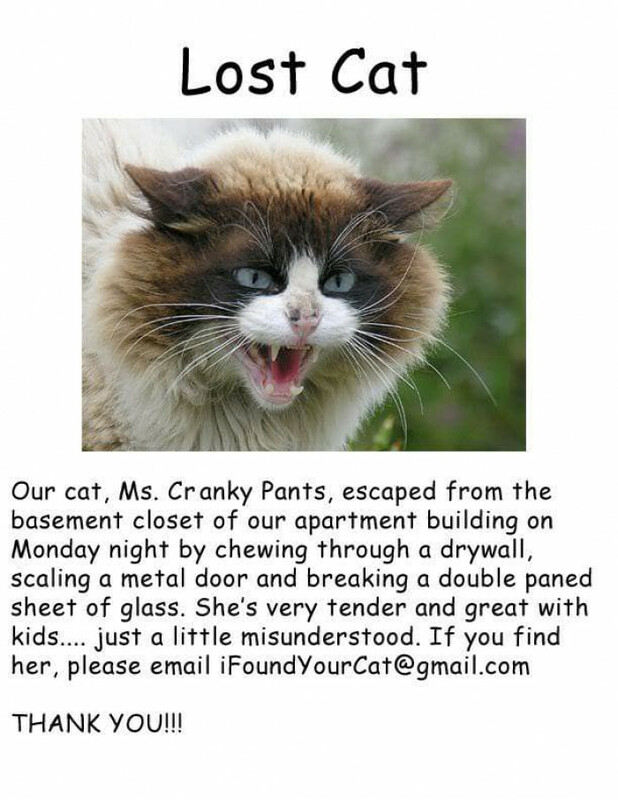 That's right, it takes just as much of a cat lover to find a cat and search for the owner as it does to be an owner searching for your cat! 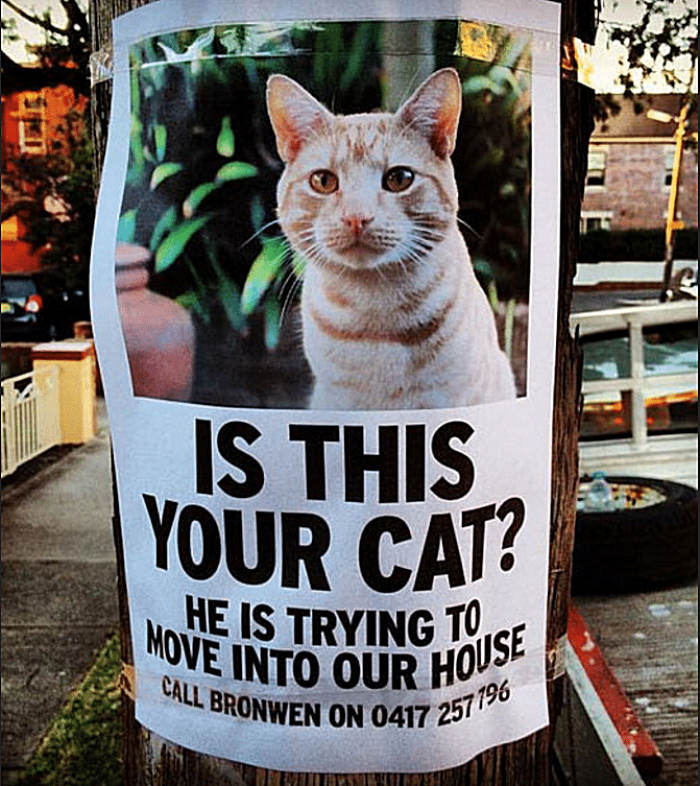 Outdoor cats are not always treated with a ton of dignity so those posters definitely deserve your attention, too! 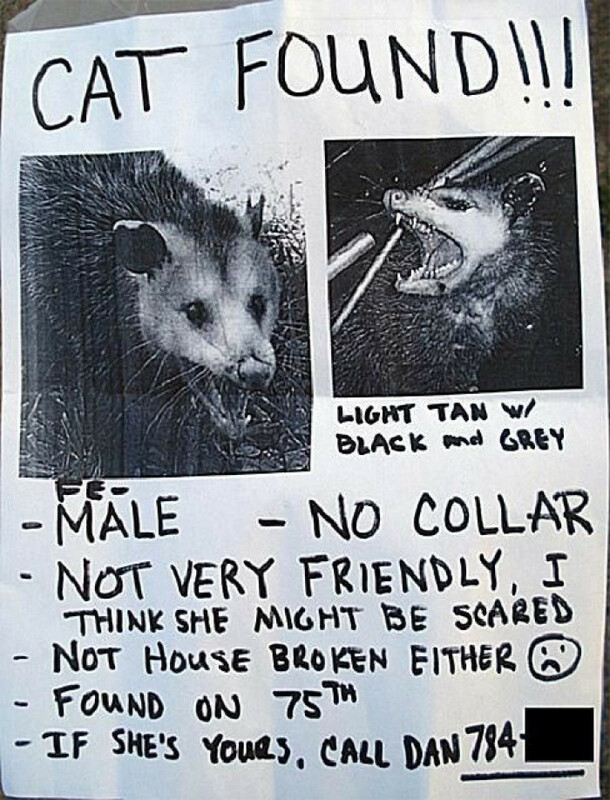 He found a scared, angry, "cat." Maybe these owners need to look just a pinch harder? 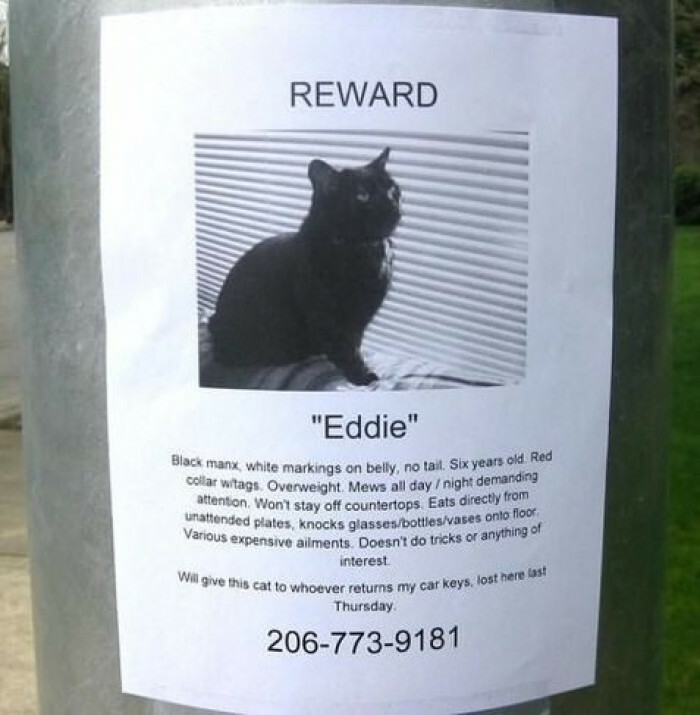 How bad do you want your cat back, bro? 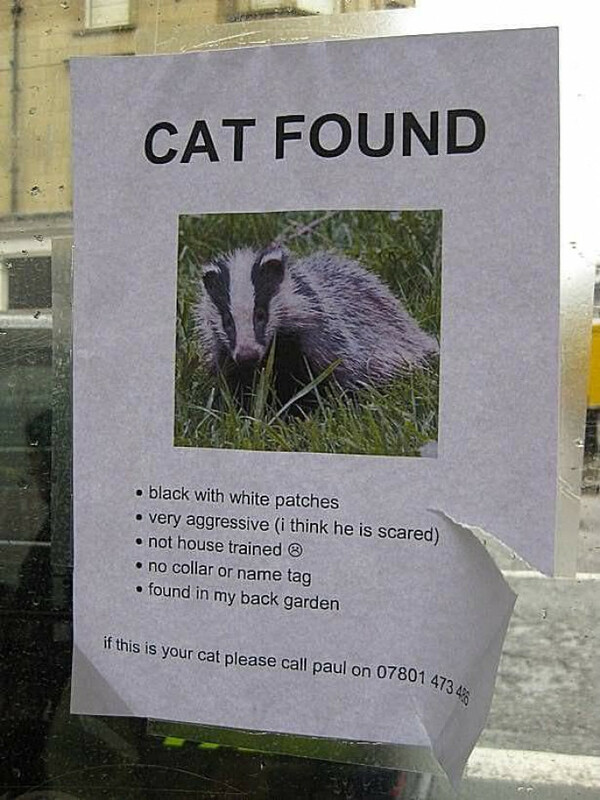 Please don't return this cat. 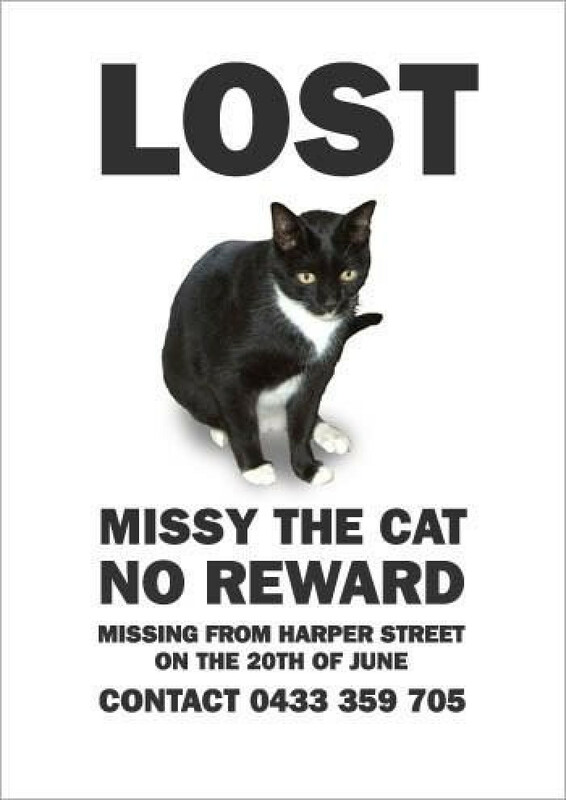 A reward for keeping a cat I found? Yes, please! 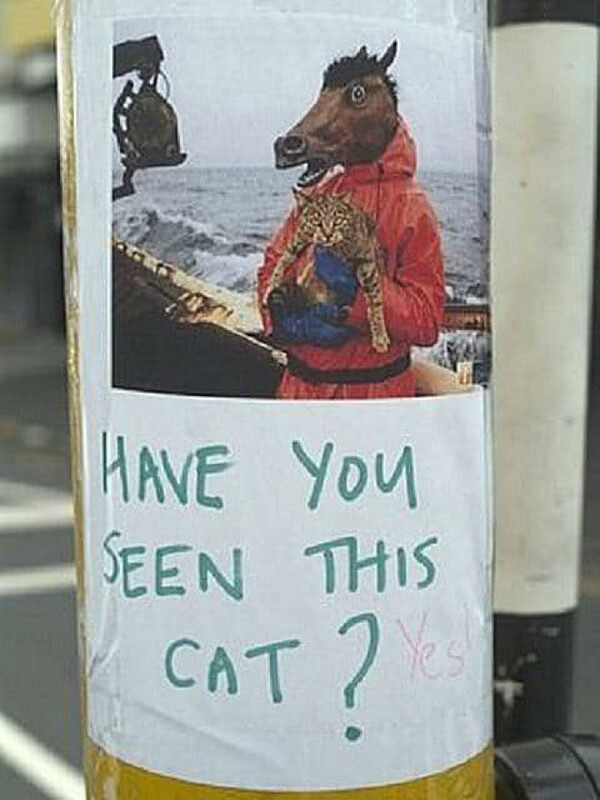 I think this cat has chosen you. What's the best part of this... interesting photo? My vote goes to the "yes" written in the corner. I absolutely cannot get through the day without a bit of Cats on Catnip.